Personal Financial Planning is a process that involves identifying needs and objectives, establishing priorities based on your values, and implementing options. Our team of experienced advisors employ a comprehensive planning process built on a foundation of ongoing contact and open communication—including regularly scheduled reviews. It is important to us to make sure each experience you have with your Personal CFO is productive and beneficial. 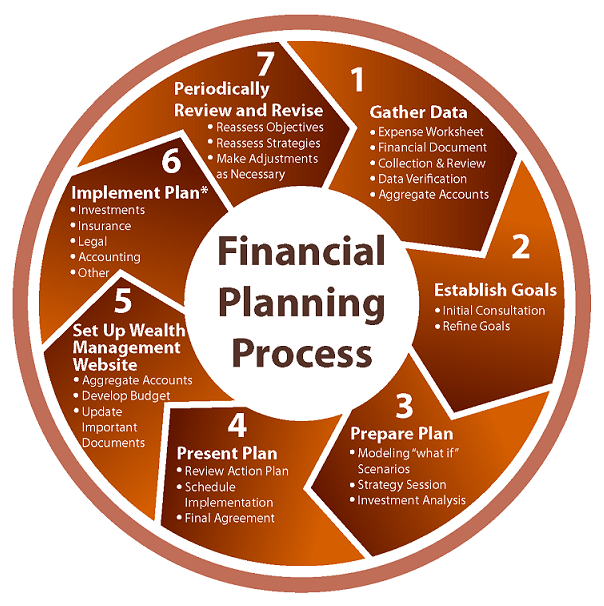 *Your plan may be implemented with the financial institution of your choice. Tax and legal services are not offered by Disciplined Equities Management, LPL Financial or affiliated advisors. Our extensive financial experience enables us to make recommendations based on well-reasoned strategies and timely research that are appropriately suited to your objectives. We take pride in our proactive communication and accessibility. You can count on us to work hard to help ensure all of your needs are addressed and nothing is overlooked. DISCOVERY: We gather information on your current financial situation, investment history, assets, insurance, your long-term financial goals and risk tolerance. RECOMMENDATIONS: We analyze the information gained through the discovery process and use it to create recommendations that align with your future needs and goals. IMPLEMENTATION: After you choose the direction that addresses your objectives, we stay connected and monitor your entire plan in an effort to keep it on track, making adjustments as needed. ONGOING COMMUNICATION AND REVIEW: Working together, we keep your financial plan up-to-date and relevant based on changes in your needs and objectives, as well as market conditions and forecasts. We meet with you on a regular basis to conduct formal plan reviews and encourage you to contact us at any time with questions or concerns. Life is dynamic, not static, and your financial strategies should be too.